Four seasons in one week maintained the ambitions of Ex Northern Jacobite Venturer (Ex NJV). Blue sky and delightful spring weather for the first few days gave way to snow and wind by the end of the expedition. Our now annual Scottish exploit is in its 9th year and is successfully delivering all four phases of a cadet’s four year expedition development plan. Exercise NJV is a multi activity week designed to give cadets from Giggleswick School the opportunity to produce a tangible outcome to the adventure training elements of their cadet experience which starts way back in Junior School. Expeditioning in March and April in such wild areas of Scotland certainly exceeds the requirements of the APC and DofE Awards but is made achievable by employing the additional leadership and determination that comes from non-DofE training that the cadets receive such as leading close target recces or organising teams of junior cadets during summer camps. In addition, Giggleswick’s location in the Yorkshire Dales and the Giggleswick Certificate programme means that most students will have been over Ingleborough, Whernside and Pen-y-Ghent not to mention their day to day exposure to weather, giving them a greater exposure to inclement conditions than most, and lays the foundation for the challenge NJV offers. Cadets enter the NJV programme aged 15 as direct entrants to the Silver Duke of Edinburgh Award and in their first year complete a Summer Mountain Foundation (SMF) based course, subsequently remotely supervised and assessed in our October half term in the Lake District. 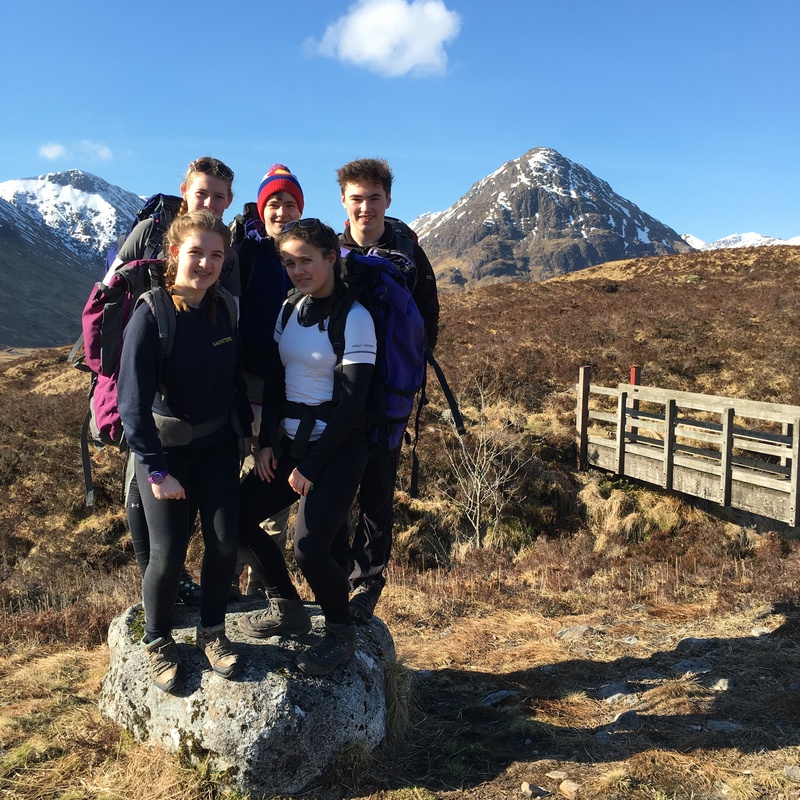 In year two cadets return aged 16 to use a Winter Mountain Foundation (WMF) platform which allows them to return in April of their third year to complete their Gold DofE Assessment in the wildest areas of Scotland. 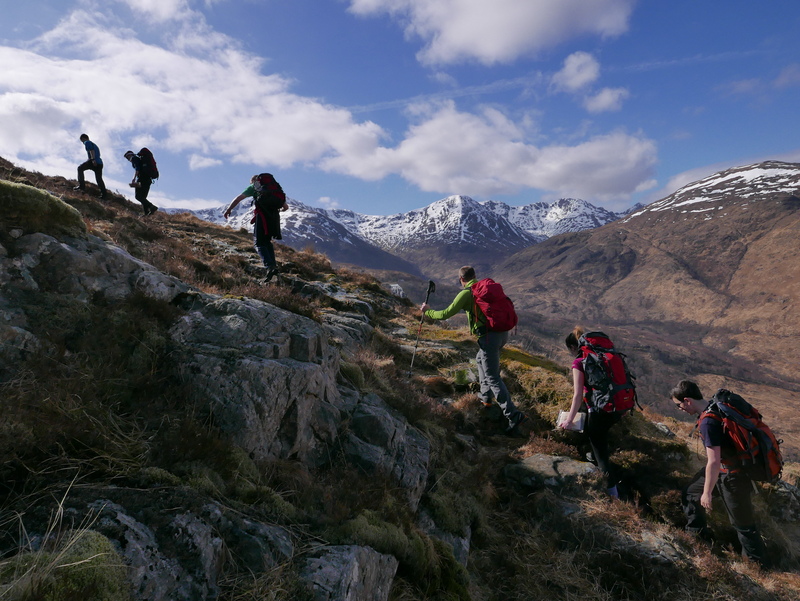 On successful completion of the Gold expedition cadets are invited back for a fourth year to move up a level and try some graded routes and true Scottish mountaineering, guided by practicing MIC’s and fuelled by their own previous experience. Our thanks go to the Ulysses Trust for awarding us a grant that allows us to employ the very high quality instructors who facilitate such an ambitious programme. Without this contribution we would not be able to put such large numbers of cadets into such an ambitious programme. Second only to logistics are the challenges imposed by the weather. We have had 14” of snow and whiteouts at the valley floors, and days of blazing sunshine where one was overdressed in shorts. Our training this year was blessed with incredible weather at the start of the week. It was a delight to complete winter skills lessons on good nevee after a ride up the Aonach Mor Gondola. Cadets were then exposed to more predictably Scottish weather at the end of their expedition when snow and wind brought challenging conditions down to sea level. A risk with remotely supervised expeditions is that of cadet choices. All cadets are trained and approved by current, practicing and professional staff before progressing to remotely supervised assessment. The minute to minute management of the group during a remotely supervised expedition is left to the integrity of the cadets to apply their training and I am very pleased to report that any choices to renege on this responsibility are a rarity and it is a joy to watch groups discussing decisions and exercising very mature judgement. The retention of learning from this week’s experience is also impressive when remotely observing DofE assessment groups applying their significant Scottish experience to their Lake District Silver assessment. Physical ability, leadership and the desire to succeed are all intangible elements of the cadet experience that we hope can, in some way, be illustrated to a future employer by having a qualification such as the DofE Award and an experience such as that provided by Ex NJV. Without a curriculum vitae that stands out from the crowd a cadet may not get to an interview. It is only when in front of the interviewer that their soft skills and confidence often place cadets head and shoulders above the rest. My hope is that at some point in the future this progressive training programme will generate a group of students who would wish to journey into even more adventure. So far there have been a few of the most able attendees who have gone on to alpine ascents, two have built on their experience to ascend Mt Kenya whilst it is recognised that the challenge to merely wild camp for two nights is of equal demand for many. •	5 cadets (1 group) completed and passed their Gold DofE expedition. •	3 adults successfully gained update and best practice training (incl snow awareness lecture and risk management) working with MICs.